The organization’s message is delivered via multiple channels. One channel yields a response of one in 2,500—.04 percent. Another channel’s response is one in four—25 percent. Is that true? What do the numbers tell us? The Association of Fundraising Professionals cites similar numbers. This information is no longer available online, since the metric is often used to bash nonprofits. We applaud the decision to take these statistics offline. Direct Mail Acquisition (with a 1 percent or better rate of return) $ 1.25 to $1.50 per dollar raised. Direct Mail Renewal (with a 50 percent or better rate of return) $0.25 per dollar raised. For a mature peer-to-peer program that is purely digital, it takes less than $.15 to raise $1. When you start looking at the efficiency of human delivery of donation requests, the comparisons become quite remarkable. While “costs to raise a dollar” metrics are falling from favor (for good reason), for these purposes, they are handy. The mail piece is to direct response what the human is to peer-to-peer fundraising. Email is to digital fundraising what the human is to peer-to-peer fundraising. The human is the delivery device of your message in peer-to-peer fundraising. That human delivers your message to a “list,” which they have vetted for responsiveness. The message delivered is as credible as any marketing message could be. A friend delivered it to a friend. The message comes from a trusted source, which has some personal connection and a history with the recipient. The human is a very efficient delivery device. In the breakout of various revenue sources, monies collected via peer-to-peer fundraising (using a human) isn’t represented. 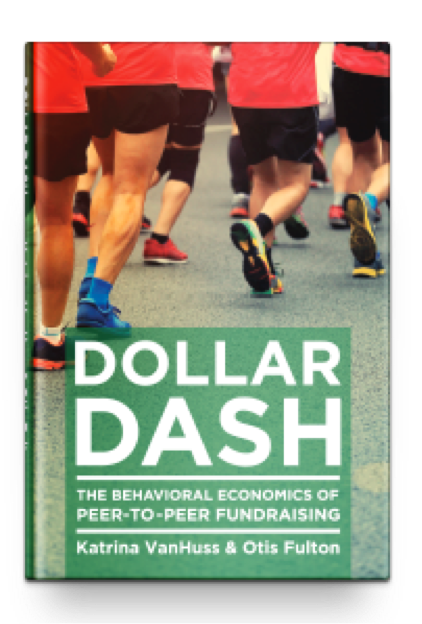 Instead, peer-to-peer is grouped with “special events” because, often, peer-to-peer fundraising culminates in an event. It is a mistake to do this. The most productive peer-to-peer fundraising events do not spend big money on events. Spending big money on events is actually counterproductive, because this conveys the message that the organization is in a transactional relationship with its volunteer fundraisers. That is bad, because we know that people who are in transactional relationships do not stay over the long haul. Data collection and new donor acquisition—the average peer-to-peer fundraiser gets four contributions from first-time donors to the organization (Blackbaud). Self-reinforcement—every time the volunteer fundraiser asks for a donation for a particular nonprofit, they are more likely to continue the same pattern of behavior. Self-donation—fundraisers almost always self-donate (Blackbaud). “Friends asking friends for donations is much more than a dollar-based transaction, like mail. Peer driven fundraising taps into "new power" values which are the core drivers of modern mobilization, which many of today's successful companies are based on. It's also how many people like to engage with causes. A one-time or even recurring donation gives you revenue, but people powered fundraising gives you the power of the network and a new fundraising source, which far outweighs money alone. Why not get the donation and the network behind it! It's a great way to diversify your revenue and build your people power. Who doesn't need more volunteers, advocates, social ambassadors? Volunteer-driven fundraising allows you to move your people through your engagement path, while helping you meet critical fundraising goals.